It was my birthday that Friday and deathboy and I wandered around the city. I looked for stalactites at Tottenham Court Road but none were to be seen. We went to the Photographers' Gallery and saw photos by Andy Warhol and William Burroughs, and then the excellent photos by David Lynch, which were accompanied by eerie sounds. After that we went to Orchard Kitchen and I ate crispy kale, celeriac mash, chicory and apple, smoky beans and mushrooms, and rhubarb bakewell with tonka bean custard. I did not try the vinegar dust. Then we wandered and found the remains of a crypt, which was used by the Carmelite Order of the White Friars. Down Magpie Alley and underneath some office blocks, hidden behind glass. That evening we saw Her at the cinema, which I enjoyed. 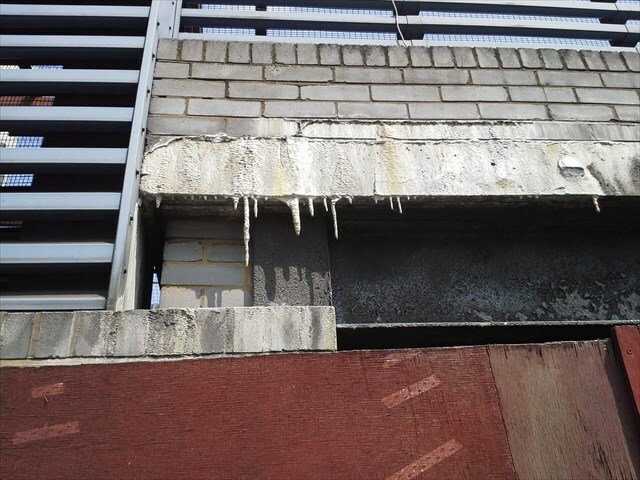 I spotted some quite large urban stalactites near Victoria Station last spring. I don't have a cap online but some other people have also spotted them. They're on Eccleston Bridge depending from the outer perimeter of the car park. They've managed to survive several building projects, despite being above where the hoardings are put up and taken down. I have just been to see them. :) Thanks for the suggestion! Happy birthday! I went to the pub where you celebrated last year's birthday on Saturday and thought of you, but I was 366 days late.